Being a part of the blogging world can sometimes be a bit overwhelming; As blogs have become mainstream and easier to access, there has been a boom in people creating content for blogs. I know from personal experience it is kinda intimidating trying to get your voice heard across all these amazing blogs however I've found that attending blogger events, like the #BloggerTikiParty in Birmingham, helps relieve my anxiety - it turns out all of us bloggers are pretty friendly and love meeting each other! The Blogger Tiki Party, organised by the wonderful Kirsty at www.kirstyleanne.com, was a tropical themed event where bloggers could match faces to blogs and meet exciting brands to work with. The party was at Island Bar in Birmingham, which was the perfect setting for relaxing with a few cocktails! Before the event I met up with Charlee, Becky and Charlotte for a coffee and catch up, then we headed over to the blogger meet up. There were loads of people already there by the time we arrived so there were plenty of people to chat to! The blogger party was casual and informal, giving the perfect opportunity to chat blogs and instagram with people - my non-blogging friends just don't get it haha! It was also great to meet up with some of the East Midlands bloggers as I'm going to an event with them next month. 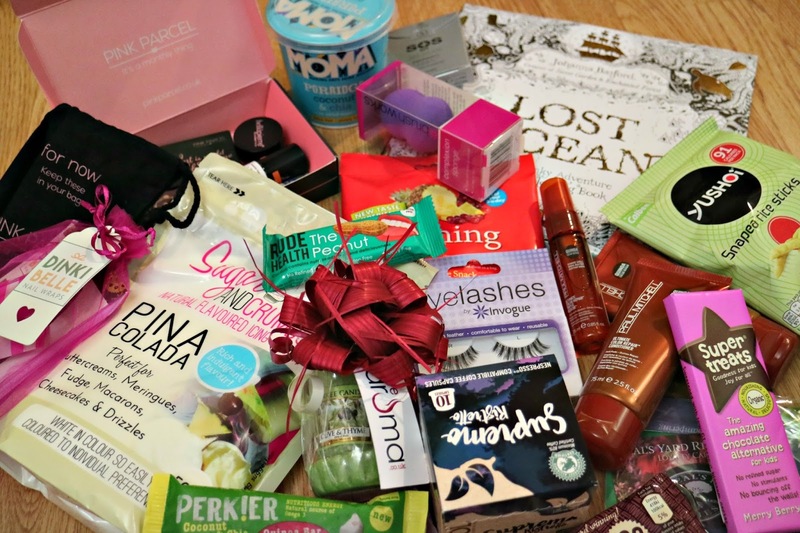 Kirtsy had organised loads of brands to attend the event, and the goody bags we received were insane. We were lucky enough to walk out of the event with almost two canvas bags full of gifts - I am so grateful for all the brands who gifted us items (You will be seeing lots of these up on my blog, Instagram, Snapchat and YouTube soon!). Attending a blogger event yourself soon? Meet up with someone before going to the event. Lots of bloggers head to events by public transport. It's easy to meet someone at the train station and walk in together, making your entrance seem less daunting! Say hello and THANK YOU to the event organisers. I'm pretty sure that months of blood, sweat and tears have gone into that event in fact I know this from doing Lush events) and it's polite to just say thank you, and show your host how much you appreciate them and their hard work. Use hash tags and social media all day. You're in a room full of bloggers... pretty much the one time it's socially acceptable to be sat on your phone all day! Events usually have has tags that you can use to engage with brands and connect with others at the events. Plus, it gives your followers chance to see what you're up to. Don't be afraid to chat to new people. Bloggers spend a lot of time behind computer screens. You might recognise them instantly, or maybe not even heard of their blog before, but chances are they are just as nervous as you might be about meeting new people. Remember, you're all there fore you passion for photography, writing, media, fashion, beauty... the list is endless so I'm sure you will find some common ground! And most importantly be yourself and have fun! Big thank you to Kirtsy who put loads of effort into this - can't wait for the next one!